KEEP ESSENTIALS ORGANIZED- Keep your personal items neatly organized and easily accessible with our special design hanging toiletry kit. Unlike single-compartment bags, where it takes time to rummage around looking for what you need, the toiletry kit provides multiple storage compartments, so you can find what you want fast. BUILT-IN HANGING HOOK- Built-in hanging hook makes it easy to hang from a towel, shower rack or any appropriate place for easily displaying items when open and quickly access needed item. It makes a great choice when packing for business trips, summer vacations, or out-of-town family holidays. 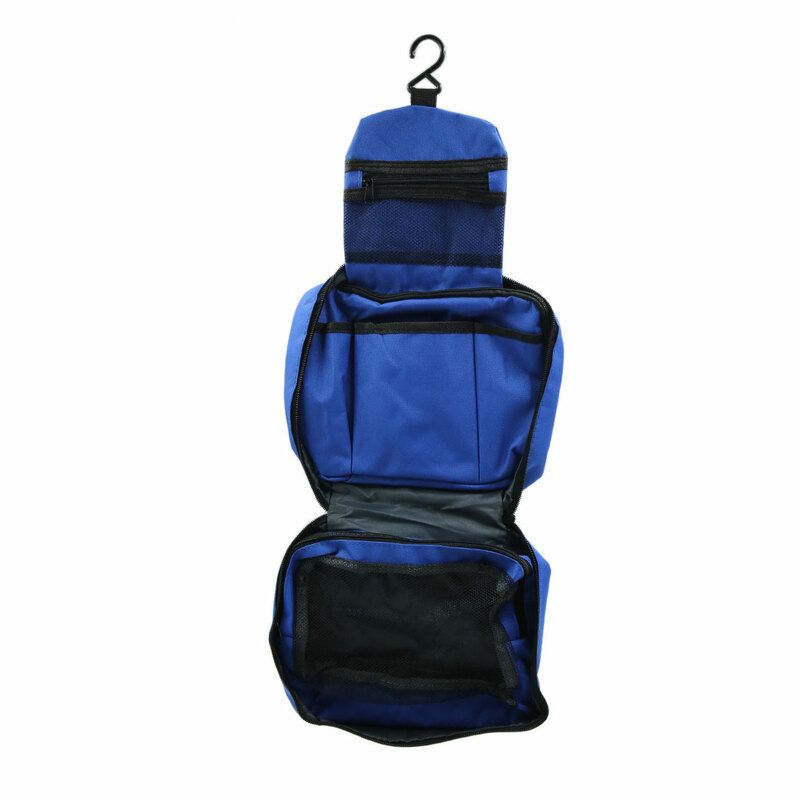 DURABLE POLYSTER AND TOP CARRY HANDLE- Made with durable polyester, the toiletry kit offers strength and a wipe-clean surface that withstands steamy bathrooms and the common wear and tear of continual use. It also provides a reliable loop handle for comfortable carrying from the travel bag to the hotel bathroom or for hanging it in the closet or on a doorknob when not in use. MULTIPLE COMPARTMENTS- Large capacity with multiple compartments to easily separate razors, shampoo and other necessities. Zipper closure, waterproof, dirt-proof nylon fabric makes this cosmetic storage bag durable quality. Large enough space to organize your lipsticks, eyeshadow, mascara and other cosmetic tools inside, great makeup bag for travelling and camping. This bag can be taken on any trip as a handy travel companion as outdoor camping, climbing a mountain, travelling on a holiday, business trip, making up, gym etc.